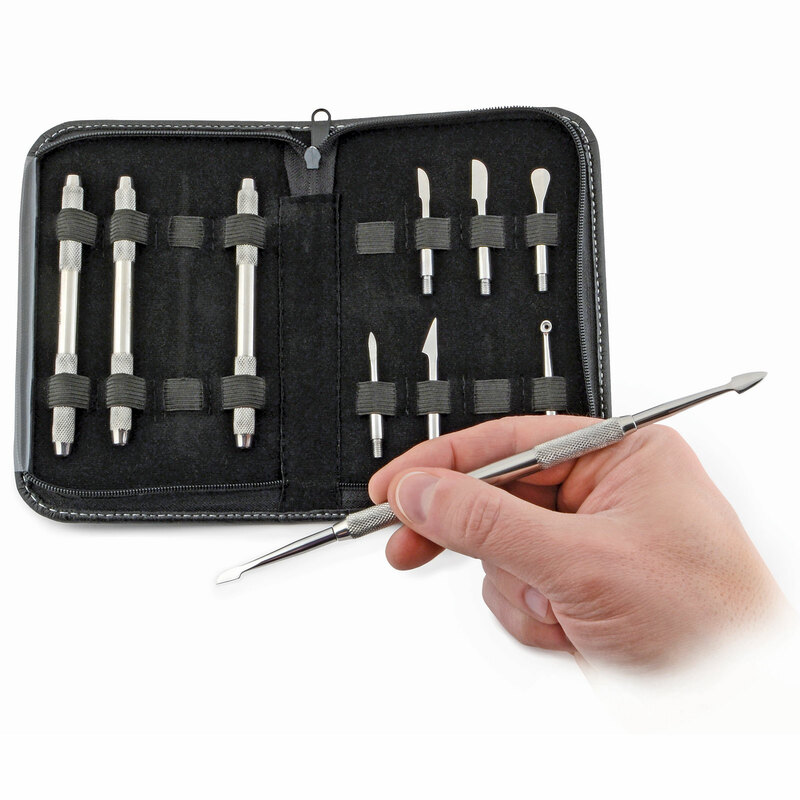 Set includes 8 tips that screw onto 4 double-ended, knurled handles for sculpting and carving the finest detail into wax masters, military figures and other putty-formed miniature objects. Tip shapes include spoon, shovel, blade, arrow head, scraper and knife. Includes deluxe zippered case. Assembled tool is 7-1/2 inches long.